There a two good pubs within a mile, some good restaurants, and plenty of interesting places to visit close by. 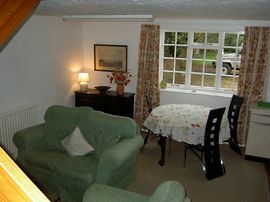 The cottage has a well-equipped sitting room/kitchen, 2 comfortable sofas, dining table and chairs, TV. 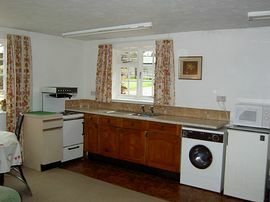 The kitchen area has an electric cooker, frig, microwave, washing machine. Upstairs the bedroom has two single divan beds and en-suite shower, basin and WC. There are plenty of electric appliances to keep you warm. We provide part time heating from an oil fired boiler during the winter months only. There is a £1 meter for electricity you use. A well behaved dog is welcome but not allowed in the bedroom. The village shop is about 0.5m walk away and there is a very good butcher in South Gorley. For supermarket shopping Fordingbridge and Ringwood are about 4 miles away Salisbury 11 miles, Bournemouth and lovely south coast beaches about 14 miles. Direct access to beautiful walks from your doorstep. Turn right in South Gorley to Furzehill. 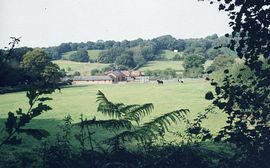 Farm is one mile on right. January - March: £220.00 per week. November - December £220.00 per week. 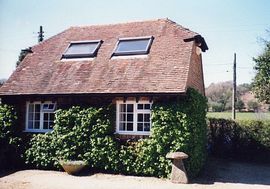 Christmas, New Year, Easter: - £360.00 per week. Friday 3pm to following Friday 10am.